← Happy Birthday to Mark the Animal!! In its original run from 1979 to 1982, “TV Party” was, well, a TV party! It literally was a weekly party that was televised. Every week, the hoi polloi of the Lower East Side got together for an hour of chemically enhanced conversation and hijinks. Filmed with zero money, zero script and zero technical know-how, it’s kinda what you would get if you let the art class kids loose in the AV room. There’s a lot of self-conscious acting up, forced fun here. Do you really think your Uncle Vin always wore a lampshade on his head, just because he did it in all your birthday party videos? Sorry kid, he was pimping it for the cameras, and that’s what most of the on-camera party-goers here were doing. No one is that ON all the time. There’s no doubt that it was fun to be there, but it’s a headache to watch. 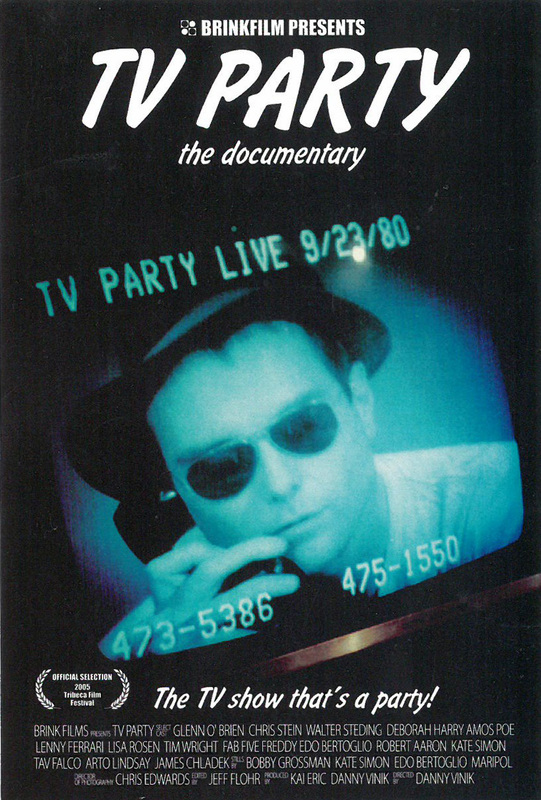 Grab “TV Party” if you want a glimpse into the “anything goes” atmosphere public access was capable of. Make sure the fast-forward button on your remote is in working order, because it’s going to get a work-out. Bad movie rating: 2 Tors, docked a full Tor for making me buy the entire shows. HDM! Bringing it to the people! PASS..THE DFFD BLOG has NOTHING TO DO WITH THE BAND, DICTATORS..IT IS ONE MAN CONTROLLING A BAND THAT NO LONGER EXISTS..HAVE FUN..THE DICTATORS NYC, HOWEVER ARE HAVING FUN, DO EXIST, AND YOU ARE MORE THAN WELCOME TO JOIBN OUR PARTY!